Local to the Auburn, California area, my family and I are here to save you $$$ on your next mattress purchase. Our new business model of low overhead makes it easier for us to offer brand name mattress sets at 40-80% off normal retail prices. We would love to hear from you and answer any questions that you may have. Call us anytime at 530-492-0098. Very accommodating and excellent to work with. They know there stuff! What a great experience! Amazing service, knowledgeable owner, and fast delivery. We absolutely love our new mattress and we are beyond thankful for their expertise in helping choose the right match for us. We recommend this store to all of our friends and family! We had a great experience. The one on one experience and service was great. Delivery was fast and they really went the extra mile to make it great. Thank you Nick for the amazing customer service, no pressure to buy, helpful information to find the right bed, best pricing anywhere and for being flexible with our pickup schedule. We need more business people like you! Highly recommend to everyone. You won't be disappointed. I love the bed! There is no sales pressure at all! There is financing available too! Very happy!!! I bought a queen bed from this company and was so impressed with the great price, the helpful service and the delivery time that I bought another full sized bed for my daughter the same week. The owners are very generous with their time and know what they are talking about. Plus the price couldn't be beat. After buying the bed in the morning, I was sleeping on it that night. Wish I could give this business more than just 5 stars. I will definitely purchase a mattress from them again. I've been sleeping very comfy since I purchased my mattress at Mattress By Appointment. Wanted to sleep on it for awhile before I commented, now I can attest to the fact that I did get an awesome mattress. Thanks to Nick for being so patient and helping me select the right mattress for my needs. I also have a pillow for "side sleepers", and wow, it is so comfortable. Thank you Nick for all your help. Best to you and Rebecca on your new adventure. We just bought a new Cal-King. My wife and I love it. It’s so comfortable and Nick was a great salesman. He let us try multiple mattresses over and over again while my wife settled on the one that felt best to her. No pressure to buy. Kept us within budget. A great experience got the mattress the next day. Would highly recommend them. This was our third mattress purchase from Nick. He is a true professional, knowledgeable about the products he sells, offers very competitive pricing, and takes the time to work with his customers. As our daughters have departed for college and professional careers, our time to update/upgrade has come. It is so nice to have Nick (Mattress by Appointment) as a local resource. 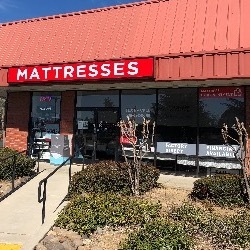 Mattress by Appointment is the best place to buy mattresses in all of Placer County! The store has a lot of great beds to chose from and the owners are very friendly and helpful. Mattress by Appointment not only has mattresses, but also soft sheets and confy pillows. I've never slept better! I definitely recommend this store to anyone who needs a new mattress! Top notch customer service, high quality product and excellent price points! Nick, the owner, was super friendly in making the online appt and then accommodating our schedule for earlier. Great communication! Knowledgeable about products and listened to our needs and made great recommendations at various price point levels for us to choose! He also went out of his way to try to accommodate a same day delivery. Highly recommend his locally owned business. Very happy with the process & the product. Since we bought an RV mattress we won’t know the ultimate rest & relaxation until our next trip. 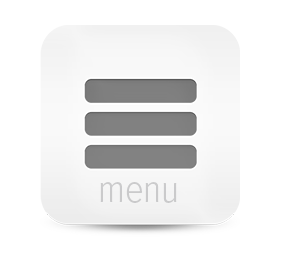 We do know it fits our space like a glove, and feels 100% better than the previous mattress we had. Looking forward to our next camping trip. Great knowledge of beds. Prices good. Easy to get finance. Highly recommend. Looked every were for the best quality mattress for a good price..I always check reviews to help me to get it right..Called up Nick and he took great care of us..He delivered our mattress and took the old one away too..We saved hundreds of dollar by trusting Nick..I would suggest anyone to call Nick for you new mattress!! !Thanks Nick!!! This was by far the most easy and fun mattress/ base purchase ever. I called nick from the Sacramento airport to warn him I was on my way with my in laws and I needed a bed for them as we have just moved into a new place. I was prepared to take look around and end up buying a patch for an old air bed instead. He and his lovely wife are awesome and sorted us out with kindness, product knowledge and efficiency! On top of that Nick was able to deliver the mattress later that day for a perfect deal. Everyone wins! We are so stoked!!! It’s such a cozy bed! I seen this company online F.B. I was honestly Leery but I took my chance for I needed mattresses right away. I went in and the owner was super nice and very helpful and willing to go out of his way to make sure my daughter and I had good beds but not super high prices. Slept on my bed for the first time last night and it was totally amazing! Great service great product! I loved that I was able to take my time worth no pressure on picking out my mattress. I received a lot of information that made it easier for me to pick what was best for my needs. I would recommend Mattress by Appointment to everyone. The bed is super comfy. Really pleased with customer service, great deal. Highly recommend to all who are looking for a new bed. Great Customer service but my mattress I'm not certain about it. Nick and Rebecca were simply the best. Fabulous to work with. Knowledgeable. Helpful. We finally decided on the mattress and when it came in they were flexible and accommodating and they even took our old mattress... Overall the BEST mattress purchasing experience EVER! Absolutely great customer service! ! Nick went above & beyond to make everything perfect! Buy with ease.. he will save you money, and treat you right!! Nick has been a pleasure to work with and has very competitive prices for the 3 beds, toppers, pillows we were shopping for. Great customer service! Great deals. Very happy with out memory foam twin mattress. My son was super excited for his new mattress and it is super comfy. Found this store by accident. From the first contact they were very informative and sent tme info that I needed to see if I could qualify for a loan. I was approved. Next day I went to the store. It was very clean and they had nice mattresses. The customer service was great!!! I bought a nice nice mattress and box spring and they delivered the next day to me in Grass Valley. I am very happy with my over all experience and would recommend them if you are looking to buy a new mattress!! Wonderful Customer service!! Great selection & availability. Fast delivery Service! I love this place! I did not only save a lot of money in the bed we needed but the customer service was the best. There was no pressure from any salesman. Nick made everything simple and effortless focusing only in our shopping experience. I would recommend them to everyone in the market to buy a bed at the best price by far. The service was the best service I have received while shopping for a mattress and the price that Nick gave us beat the competition. We are so happy with our purchase I will recommend this place to all of my friends and family who are looking to purchase a new mattress. I'm glad I chose mattress by Appointment it was great I was in and out and got what I wanted thanks Nick. Loved everything about this place. The price, the service, the beds! Note that this is the NEW Mattress By Appointment store in Auburn. The other location closed earlier in 2017.